About city of mahakal, Secrets of mahakal city, Climate of Ujjaini, Distance of Mahakal city from major cities of India. People from world wide want to visit Ujjain specially to take blessings from Mahakal, "Kala" means time and so Mahakal is the lord of time and so it is a belief that if any one get blessings of mahakal becomes free from unwanted problems. For the decades Ujjaini is famous for this special temple. Not only this, Ujjaini is also very important from the point of view of "KAAL GANNA" i.e. 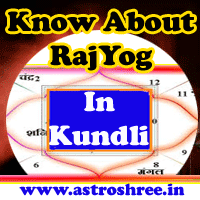 calculating the time for astrology point of view. 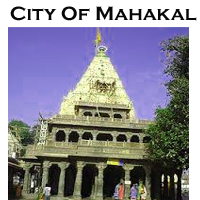 The city of Mahakal is situated at the TROPIC OF CANCER(Kark Rekha), hence the importance of city is very much for calculations. Because of this an OBSERVATORY is also established in Ujjaini where calculation are being done time to time, Panchang are also published in Ujjain. It means that time don't harm the devotees of mahakal. This shows the belief in devotees, They feel power, protection while worshiping Mahakal. Another Important thing about city of mahakal is that World Biggest Spiritual Fair (SIMHASTHA) held here once in 12 years. Next is this spiritual and religious city is famous because lord Krishna studied here as per scriptures and the ashram is known as "SANDIPANI ASHRAM". This is also a center of attraction for visitors. Memories of krishna is present there in the form of paintings. One can feel the divine peace here. Another Secret of Ujjaini is that It is also the birth place of Mars and the place is named as MANGALNATH AREA. Here is not end of Ujjaini, this city is full of secrets, magics and divinity. This city is also known as Ujjayni, Awantika, Awantipuri, Avantika Nagri. This is the city of Famous King Vikramaditya. The famous stories of "Vikram and Betal' originated from Ujjaini. Ancient caves of king Bhrathari is present in Ujjain which is said to be the place of sadhna. Signs of raja bhrathari present there at this time. City of Mahakal is a famous Tantra Sadhna place. Time to time KAPALIK, AGHORIS, TANTRIK and spiritual practitioners visit Ujjaini to complete there sadhna. This place is also related with Mahakavi KALIDAS. There is a Kalidas Academy where programs held continuously. Ujjaini is situated near the bank of holy river KSHIPRA which is the only river which flow from South to North Direction. Kuldevi of King Vikramaditya also resides here and the temple is known as HARSIDDHI SHAKTIPEETH. Magical Kalbhairav temple is here where one can see bhairav drinking wine. The climate of Ujjaini is very good as it is in center of India and slo whole the year we can see different types of activities here in city, also visitors come here whole the year from world wide. Hottest Months of Ujjain are May and June. Winter Season Of awantika city is from November to February. Nagda is approx 48 kilometer. Indore is approx 55 Kilometer from Ujjayni. Bhopal is approx 172 Kilometer from Awantika city. Mumbai is approx 645 kilometer. Delhi is approx 828 Kilometer from city of mahakal. Ahmdabad is approx 457 Kilometer. So welcome to Ujjain and enjoy the spiritual and religous environment here any time.